You know about malware and ransomware. You know what a computer virus is and probably had one. But do you know about cryptojacking? Cryptojacking is a bit like ransomware, but stealthy and potentially worth more money to the criminals that use it. While ransomware takes your data hostage until you pay the ransom, cryptojacking uses your computer or phone’s resources to mine cryptocurrencies like Monero or Ethereum. You may never know that it is there. The only thing you might notice is that your computer isn’t working as well or fast as it used to. Why is Cryptojacking a Big Deal? According to hackmageddon.com, over 81% of hacking events in 2018 were cybercrime based and almost 3% were classified as cyberwarfare. They’ve got to pay for all that hacking somehow. How Does Cryptojacking Malware Get on a Computer? Cryptojackers invade your computer in several ways. Sometimes you can get it from opening an infected attachment in an e-mail or clicking on a phishing link on a website. Or it might show up inside of a browser attachment that you installed for a legitimate reason. That’s like the traditional way that viruses were spread. If the cryptojacker gets on your computer this way, it will run in the background on your computer all the time, quietly digging up cryptocoins. when you leave the site, leaving no trace that it was ever there. Do I Have a Cryptojacker on My Computer or Phone? It used to be obvious. Your CPU usage would spike to near 100% and your computer would crawl when you only had maybe one program open or just browsing a website. hit as many computers as possible. How Do I Stop Cryptojacking? Keep practicing good computer security and use your smartphone’s security features. Make sure you’re using an antivirus app, keep your operating system up to date, and allow your browser to update freely. Most major security apps have cryptojacker detection and protection now. Look at getting antivirus and security apps like ESET, Avast!, or Norton. If you want to make sure a drive-by cryptojacker isn’t running in your browser, you can try extensions for Chrome like Coin-Hive Blocker, No-Coin, or minerBlock. Try No-miner or minerBlock for Firefox. All major browsers are continuing to bake-in security features with each update, so let those updates happen. Is There a Good Use for Cryptojacking? social cost from it being used to fund more evil schemes may continue to grow. that, we’ll keep cryptojacking a minor threat. Printing when you’re on the road is never a simple matter. Where you choose to print depends on when you need your printed document. possible from either your laptop or your cellphone. printout and pick it up immediately. available to print documents whenever you’re out of the house. 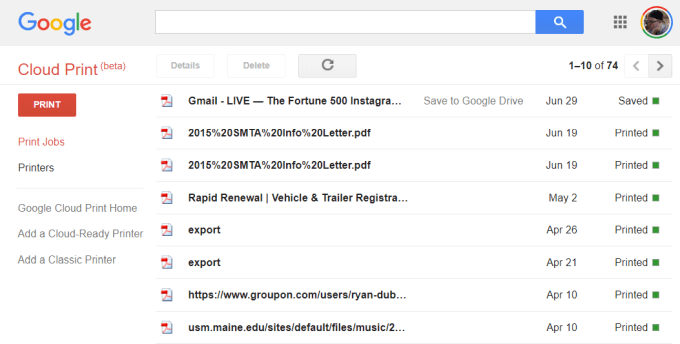 One of the best services ever offered by Google is Google Cloud Print. This service lets you safely and securely connect your wireless printer to the Internet. 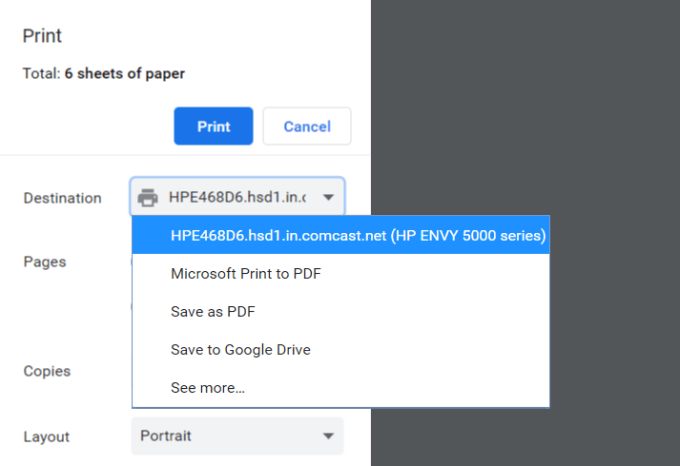 Once connected to the Google Cloud Print service, you can use your Google account to print anything from your laptop or your smartphone. Setting up this service is very easy if you have a printer supported by the service. 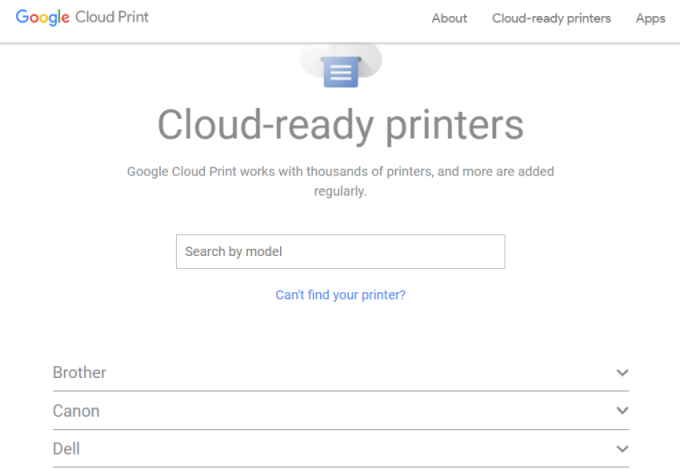 Just visit the Google Cloud Print page to get started. You’ll need to log into your Google account if you haven’t already. Cloud-Ready Printer to see if your model of printer is compatible. in the upper-right, and select Settings. under the Classic Printers section, click the Add printers button. If you register a cloud-ready printer, you’ll need to confirm the registration on the printer itself. Adding a classic printer will detect printers connected to your computer and walk you through a wizard to add them to Google Cloud Print. using the service is very easy. 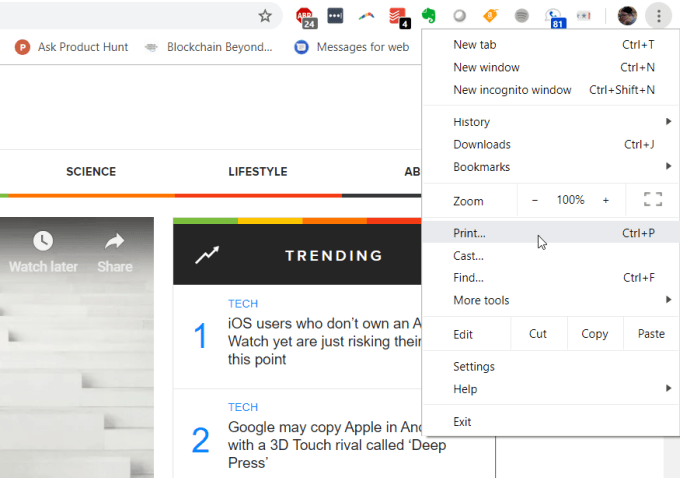 In the Google Chrome browser, you can print as you normally do by clicking the three dots in the upper right and selecting Print. along with its internet address. Select this printer and click the Print button to print. 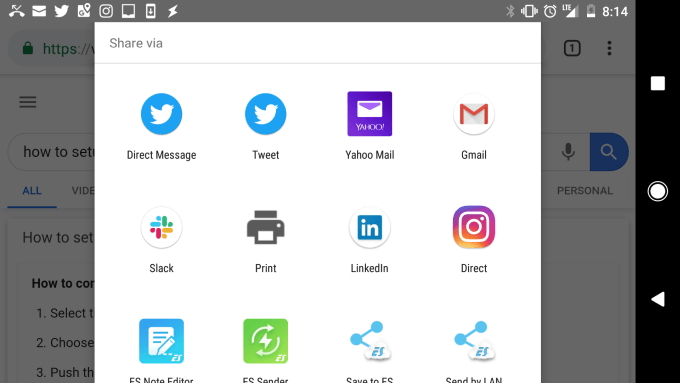 the Share feature in different apps. your home printer, no matter where in the world you are. computer that has access to print to your home printer. create a new ID and Password you want to use to allow incoming connections. 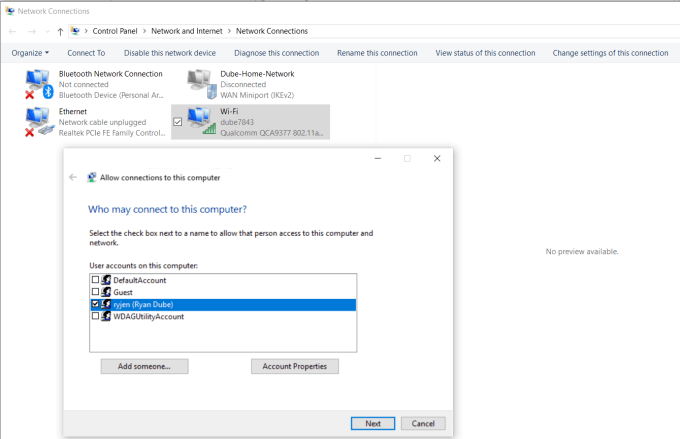 computer through the network via VPN. 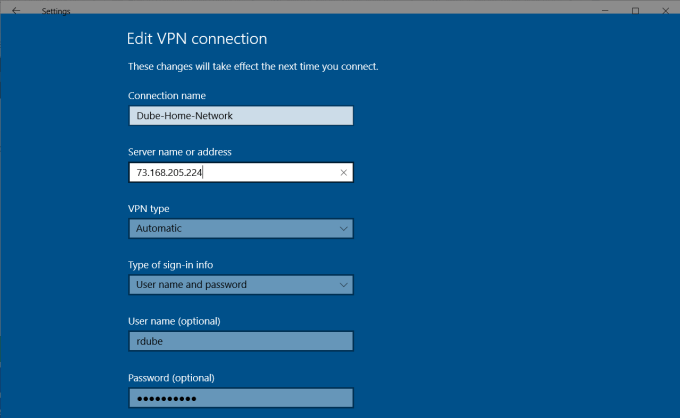 Next, you’ll need to log into your home network router and add port forwarding for VPN connections. If this sounds hard, read our post on understanding what port forwarding is and how to setup port forwarding. Make sure to use port 1723 if using PPTP. 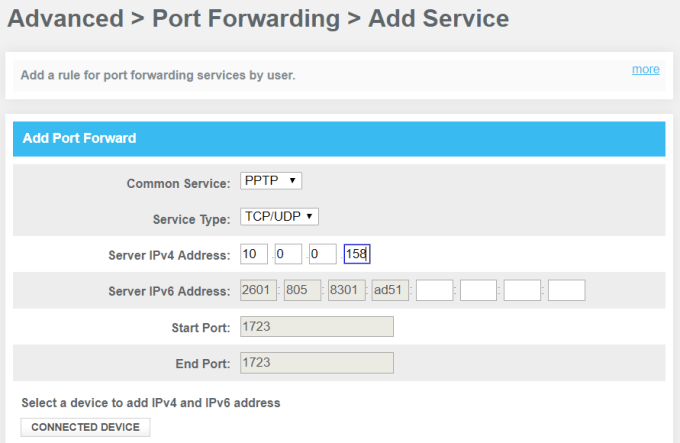 LT2P uses port 1701.
you can connect to it via VPN. 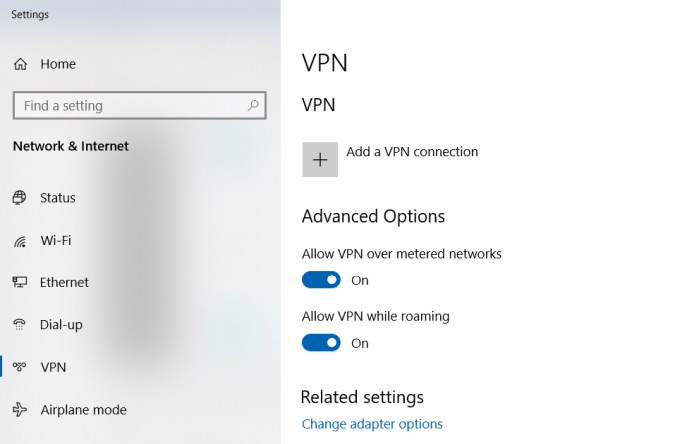 First, click the Start menu and type VPN. Click on VPN Settings. Click on the plus icon to add a new VPN connection. Before you can fill out the fields, you’ll need your computer’s public IP address. You can see this by visiting a site like WhatIsMyIP.com. name or address: Give this your computer’s public IP address. Internet access to your computer. security settings could block the connection. Install the PrinterShare software on a computer on your home network. 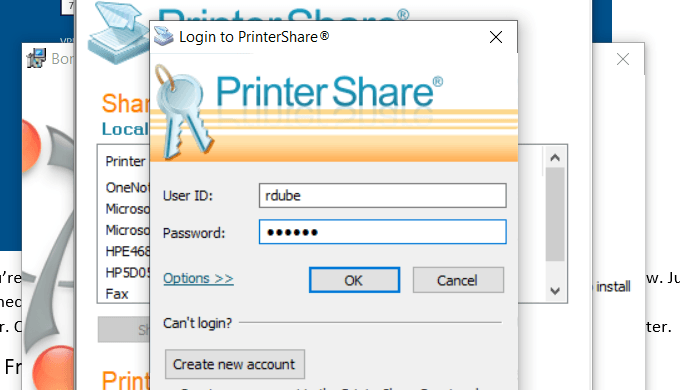 To use the web printing option, you’ll need to create a free PrinterShare account and password. that you want to allow internet printing to. under the Remote Printers list. internet to the printer connected to your other computer on your home network. internet via the internet connection on your home computer. printout for a few days, you can order printouts online. and have the service print them and mail them to you. PrintDog: Order anything from brochures and greeting cards to posters or color and black and white document copies. Prices are very reasonable at just a few cents per page for regular documents. UPrinting: You can use this service to print regular documents. But you can also order flyers, posters, brochures and more. You can even order a design printed on t-shirts or mugs. Best Value Copy: If you just want fast and cheap copies, this is probably the best service for it. Prices are just a few cents a page at a flat rate. There’s also no minimum order, so if you want to just print a few pages, you can. local shipping service is the best option. UPS: You either print online or at your local UPS shipping center. FedEx: Print using their website and pick it up at a local FedEx center. documents on it and print those documents for very cheap per-page prices. Staples: Use the website to find a Staples print center near you. Office Depot: Do in-store document printing quick and easy. CVS: Visit the CVS photo center where you can also print documents. Costco: If you have a Costco membership, visit a location for your document printing needs. One of the most overlooked resources is the local library. offer printing services for their patrons. you load the card with a set amount of money that you can use to make copies. network and print to the printer that way. discounted from the prices you’ll find at commercial printing centers. 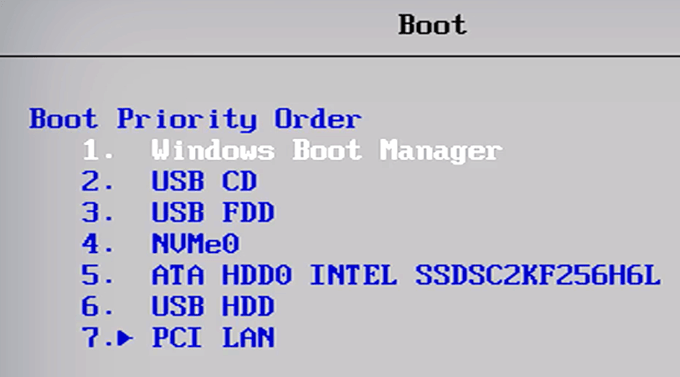 data in your PC permanently. that won’t be enough to wipe out data. need to be sure that you want to wipe out your hard drive before you proceed. You will no longer be able to recover the wiped data after the process is complete. instructions below to wipe data off your Windows 10 computer. data to a temporary location outside of the drive you’re wiping. 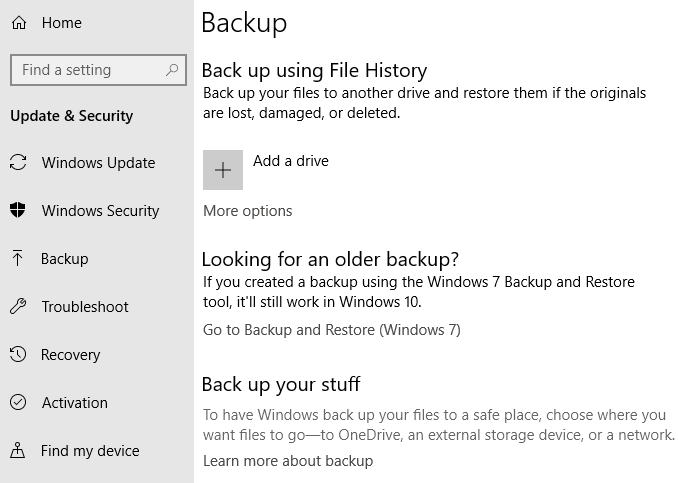 several options for backing up your files. software on another machine down the line. proceed to delete all your files. like to not only remove files but also clean the drives, select Remove Files and Clean the Drive. plans to use the hard drive again, you should consider physically wiping it. by screwing it apart before disposing of the entire thing. setup might not be compatible with computer-based texting. Sending texts through a computer can be helpful if your phone is causing too many distractions for you but you still want to be reachable by text. Or maybe you can type a lot faster from your computer with a full-sized keyboard versus the small on-screen keyboard on your phone. Another reason for texting from a PC or Mac is if you’re just too lazy to pick up your phone from across the room! iMessage by tapping the button next to it. you’re logged in with on your iPhone. 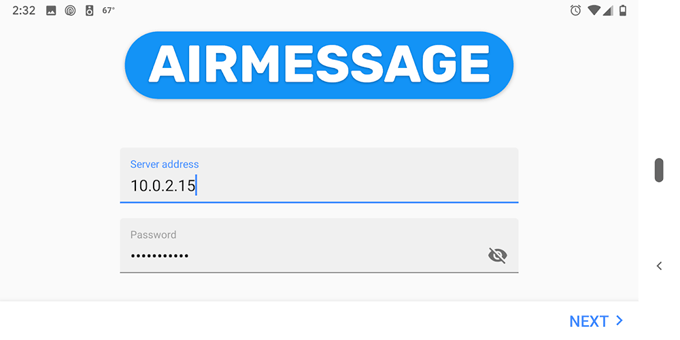 Step 1: Visit AirMessage and select AirMessage server for macOS on the bottom of the page. to save and close that window. Step 3: Install the AirMessage companion app on your Android. Tip: See the AirMessage install guide if you’re having troubles getting this to work. Instead, the best way to go about sending iPhone texts through a Windows computer, without paying for the software, is to install a free remote access program. 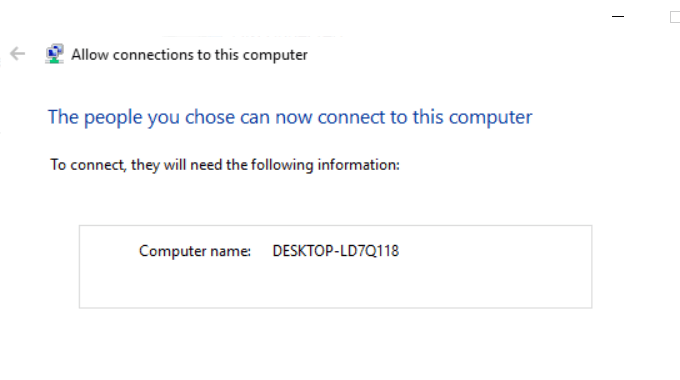 Put AnyDesk or Chrome Remote Desktop (or something similar that supports both platforms) on your Mac and on your Windows PC, and then connect to your Mac to control the mouse and keyboard. This, of course, requires you to have a Mac set up with iMessage like described above. 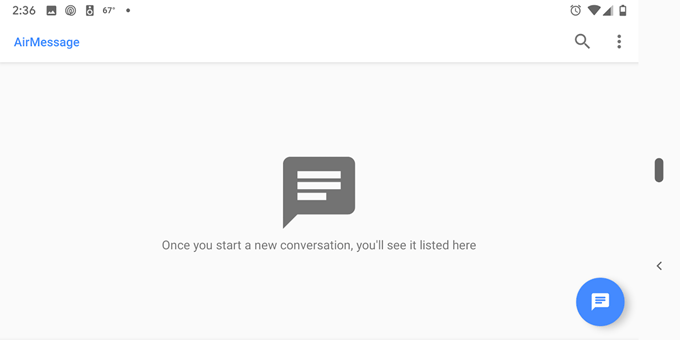 Messages is Google’s text messaging app for Android. Within it is a setting called “Messages for web” that you can enable to send texts through your phone via your computer. 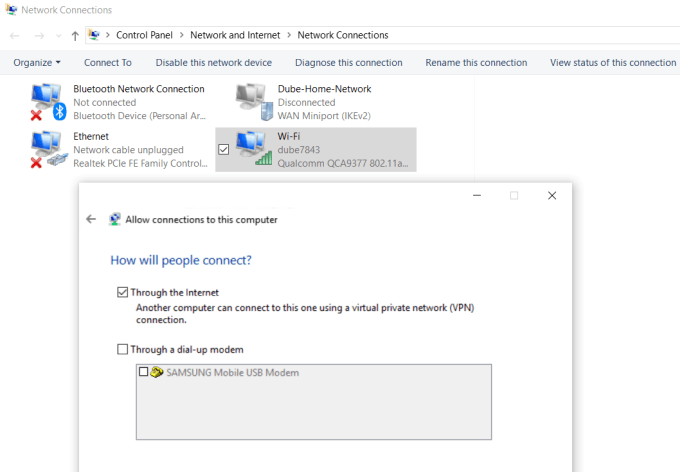 It works if both the phone and computer are on the same network. browser, it works on any computer, whether it be Windows, Mac, or Linux. Step 2: Choose Messages for web. Step 3: Tap QR code scanner. 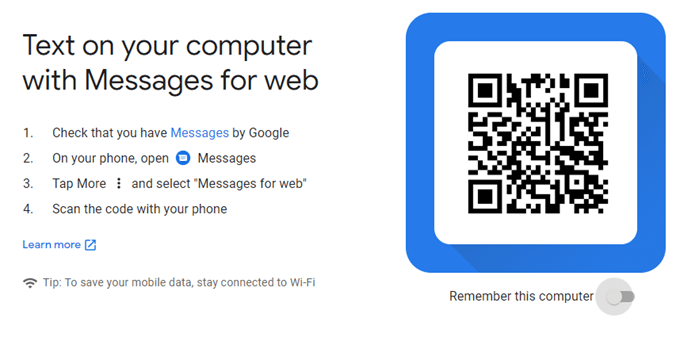 Step 4: Visit https://messages.google.com/web on your computer and scan the QR code you see. This works in browsers like Chrome, Firefox, and Safari, but not Internet Explorer. lots of options for texting from a computer. For example, if you like to use Facebook Messenger for texting on your Android or iPhone, you can access all the same messages and texting features from https://www.messenger.com, Facebook’s official website for Messenger. All you need to log in with your Facebook account information. Texting like this works no matter where your phone is (i.e., it doesn’t need to be on the same Wi-Fi network). WhatsApp is also a wildly popular texting app that can be accessed from a computer via https://web.whatsapp.com. 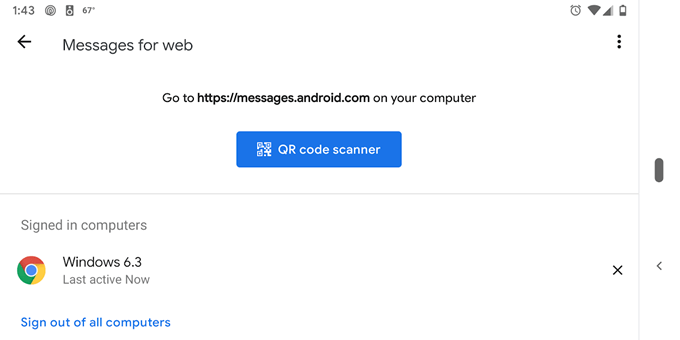 It works like Android’s Messages app where you need to scan a QR code to log in to your account and ultimately send WhatsApp texts from the computer. Just open the menu in WhatsApp and go to WhatsApp Web to open the camera you need to scan the code. Your phone must remain on the same network for this to work. 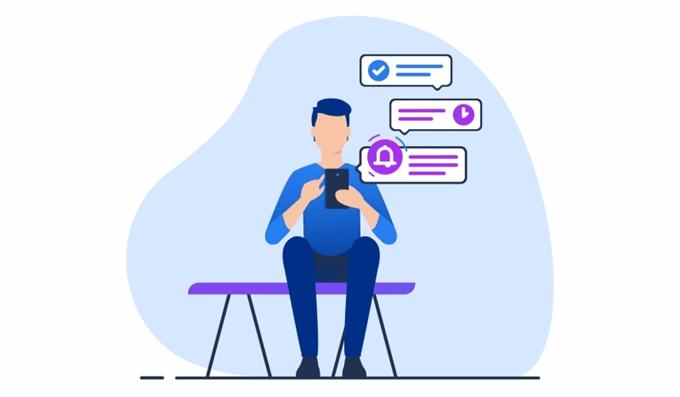 A few other examples where the texting feature of the messaging app can be used seamlessly between a phone and computer include Telegram Messenger, Slack, Skype, Textfree, and TextNow. There are also ways to send free texts from a computer over email and web services. Those methods work differently than the ones we’ve described above because they’re not used to view your own messages on a computer but instead to send a free text to someone’s phone even if you don’t have a phone yourself. own distinct advantages and disadvantages. difference from one printer to another will cost you an additional $100. right for you depends on how much and what you print. making it less than ideal for the majority of business settings. worth of ink in the box. the cost per page dependent on the monthly subscription level you commit to. company offers, depending on the printer you own, six subscription levels. economics appropriate to your specific application.